"The last few outings, he's been aggressive and filling the strike zone," Dodgers manager Dave Roberts said of Maeda. "With his mix, putting hitters on the defensive, there just weren't many good swings they got off him." This Day in Dodgers History: In 1907 then Yankees catcher Branch Rickey (who would be known for signing Jackie Robinson decades later) saw twelve Senator runners steal a base on him. In 1969 the Dodgers and Don Drysdale shut down the Padres at Jack Murphy Stadium by the lopsided score of 19-0. They break a LA Dodgers all-time record for runs scored in a game. In 2008 the Dodgers were no-hit by the Angels (Jered Weaver and Jose Arredondo), but still won the game, 1-0. The lone run was scored in the fifth inning when a couple of errors and a sacrifice fly by Blake DeWitt scores the eventual winning run. This is always fun. 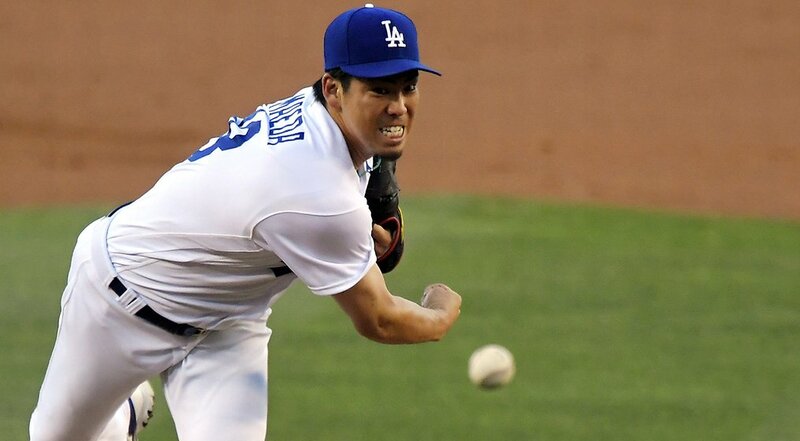 QUIZ: Name the 20 pitchers in Dodgers franchise history to have thrown a no-hitter. Go here to check out the quiz. How many did you get? Per Steve DelVecchio at Yardbarker; "Dave Roberts calls out Dodgers fans over weak All-Star voting." 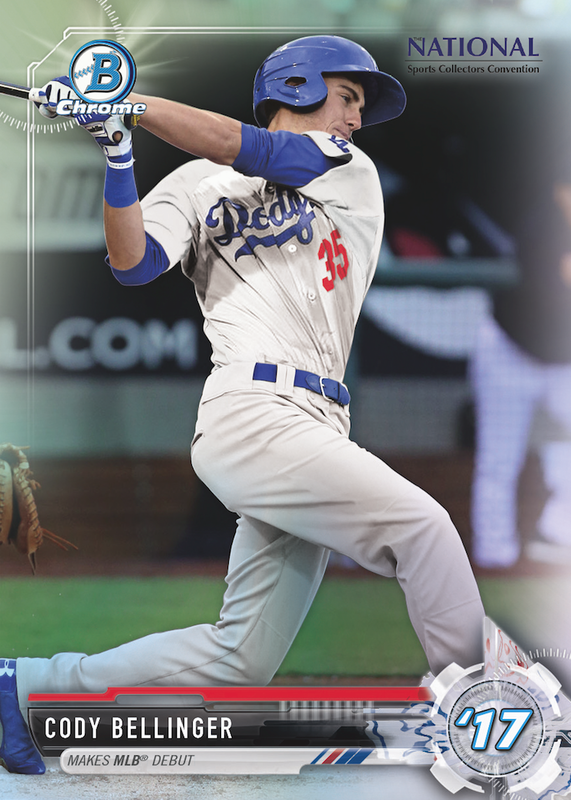 Go here to vote for Corey Seager. Of course, Bill Plaschke at the LA Times adds his two cents: "Why don't the red-hot Dodgers have any sure starters in the All-Star Game? Blame it on the TV blackout." Shelve the spin, ignore the finger pointing, plow over all the numbers that show the Dodgers losing about half of their viewing audience since the blackout began, and a simple truth emerges. When the majority of households in your market can’t watch your games on TV, they lose interest in your team. While the blackout hasn’t affected attendance, it’s put a huge dent in attitude. The winning is there, but the buzz is not. Per Tyler Kepner at the NY Times; "For Dodgers’ Cody Bellinger, the Sky’s Not Only the Limit, It’s a Target." Per Joshua Thornton at MLB.com; "Seager (hamstring) moves well in agility tests." "There's really no drop-dead decision we have to make on Corey yet," Roberts said. "It's tougher playing shorthanded, but with the extra position player that we do have, essentially we've been playing with four all year, and now we have four not counting Corey, but right now I think we do have some flexibility." Per Ken Gurnick at MLB.com; "Puig's one-game suspension rescinded." In a negotiated settlement, Dodgers outfielder Yasiel Puig's one-game suspension has been rescinded and he instead will make a charitable donation. Per Burt Wilson at Lancaster Online; "Dodgers sign Barnstormers' Blake Gailen." Per Rich Mueller at Sports Collectors Daily; "Topps National Convention Wrapper Redemption Program Returns," and it includes a limited 50 card set. Check out the Cody Bellinger card on the right. As you can see, the set is fashioned after their Bowman Chrome brand -- in conjunction with its 70th anniversary. Per David Hill at Call to the Pen; "Dodgers History: Jack Norworth Honored at Ebbets Field." On this day in 1940, the Brooklyn Dodgers sought to change that. They celebrated Jack Norworth Day at Ebbets Field, honoring the great lyricist for his contribution to the game.